There is no doubt the retail industry is undergoing rapid transformation as technology continues to reshape how retailers think about their supply chains and meeting their customers' needs. 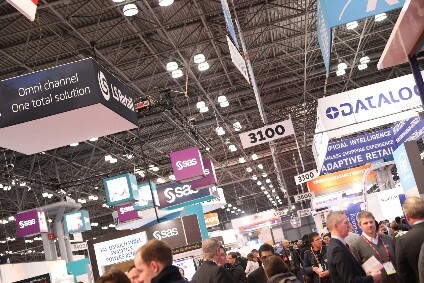 But to position themselves for future growth, they must adopt "platform thinking" and offer a radically diverse sets of experiences, according to experts at this year's NRF Retail's 'Big Show'. Trends such as market fragmentation, changing consumer behaviour, over-storing and the rise of experiences versus products are fundamentally changing the retail landscape. But if retailers are to capitalise on these trends, they must become more than just retailers. "The retailers best-positioned in the future will be those who adopt a more expansive definition of retail itself … opening our minds to what retail can be," Kate Ancketill, CEO of retail trends consultancy GDR Creative Intelligence told the National Retail Federation's 107th Annual Convention & Expo that took place in New York this week. E-commerce giants like Amazon are leading the field and retailers of all sizes need to think like these leaders by finding new, creative offerings that both "sweat assets and delight consumers", Ancketill says. With the "retail machine broken", there is now a need for legacy retail to "build something that is more dynamic, adaptable and responds to a fragmented market". Retailers who are successful in this approach are incorporating the rich array of new technologies and data flooding the market, while also maximising the best of what they are right now, allowing them to expand offerings and experiences across new locations, channels and moments across the customer journey. One retailer doing just that is Amazon. Once known solely for its online offering, last year the company ventured into brick-and-mortar retail with its acquisition of Whole Foods, the largest retailer of natural food in the US. It has also sought to revamp the customer journey through acquisitions such as that of 3D body-scanning start-up Body Labs – a company that helps apparel retailers make better size recommendations for its shoppers. It is also patenting a raft of new innovations such as a "blended reality mirror" that can be installed at home to show a person's image in a virtual outfit, and a multi-level fulfilment centre that would utilise drones for faster delivery. Meanwhile, sportswear brand Nike offers simulated treadmills for testing shoes, a steam service to mould football boots to feet or you can personalise your shoes with NikeID. Topshop installed a water slide you could ride in store with Oculus Virtual Reality while pumping the scent of sun cream through store, it has hairdressers, a nail bar and a café too. And big retailers like Target, American Eagle Outfitters, Walmart and Adidas have partnered with various start-ups to help them implement new technology into their shopping experience this year. So seizing new channels, new locations and new experiences to revamp the customer journey are going to be key in 2018. And this means going beyond traditional competencies. But the key is being mindful of the role technology is playing in-store to ensure it's not a forced experience, as James Curleigh, president of global brands for Levi Strauss told conference delegates. Though technology is allowing retailers greater capabilities behind the scenes for capturing data and improving personalisation, the customer experience should never feel complicated. Your business model, he explains, needs to be a "business mullet: simple in the front and sophisticated in the back". The end goal is always to present a "polished, simple, and easy interface" for shoppers, whether in-store or online. Software provider Zynstra recently published a report that found that more than half of retailers surveyed said using technology to improve their customers' experiences would be a key 2018 focus. Yet this focus on customer experience should not be to the detriment of customer service. According to research by NewVoiceMedia, US$41bn is lost by US companies each year due to poor customer service. Those retailers that recognise this are broadening their focus to more extensively include the back-end experience — the experience provided after a customer clicks the buy button. "Retail IT has long been focused on improving and humanising the shopping experience, but while retailers have been focused on what's happening at the time of purchase, often the rest of the experience – solution support, relationship management and marketing – doesn't match the service the brand presents in store," says Bill Blodgett, general manager of Conduent, High Tech, Industrial and Retail Services. Those retailers lucky enough to have survived the holiday season unscathed may have walked into the New York 'Big Show' with a spring in their step and optimism that retail isn't in fact dying but that it is changing. In November and December, shoppers gave retailers their best holiday season since 2010, boosting sales during the crucial holiday months by 5.5%, according to the latest NRF figures. Shoppers spent $691.9bn over the two months, greatly outspending the Federation's forecast for holiday growth of between 3.6% and 4%. Sales at clothing and accessories stores increased 2.7% unadjusted year-over-year, while sporting goods stores were down 0.5%. The holiday boost included non-store and online sales of $138.4bn, up 11.5% over 2016. "We knew going in that retailers were going to have a good holiday season but the results are even better than anything we could have hoped for, especially given the misleading headlines of the past year," Matthew Shay, NRF president and CEO said in a statement.